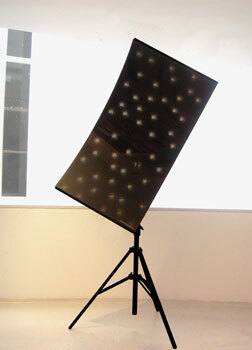 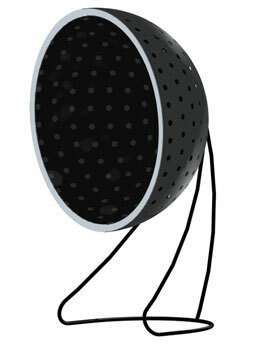 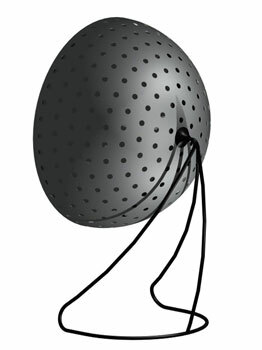 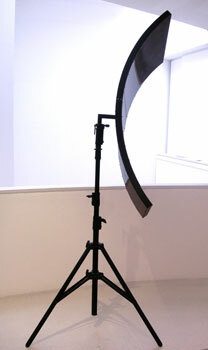 The Obscure View screen was created for the "Living Space" exhibition presented by Ron Arad during Milan Furniture Fair 2005, and marked the start of an ongoiung interest in lens optics. 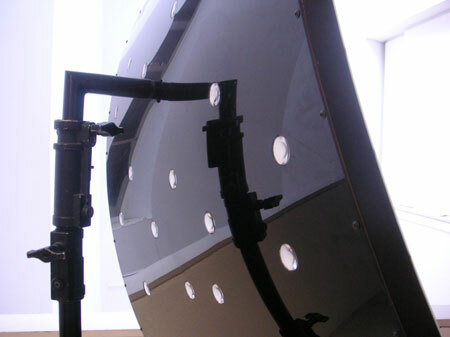 The rotating screen is embedded with 50 lenses in its external skin, each one projecting inverted images of the environment they’re facing onto the interior acrylic surface. 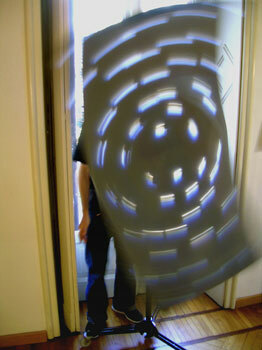 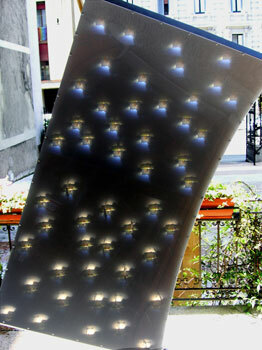 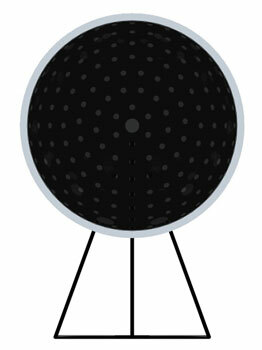 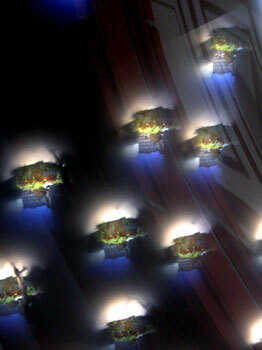 Designed as a window-side piece, the effect is amplified when the screen is spun, creating a kaleidoscope of images. 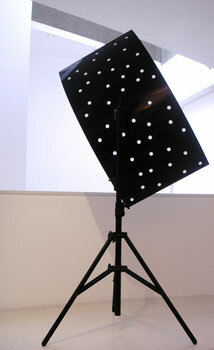 Edition 1 of 1 was purchased by E&Y for the Tom Dixon designed "Tokyo Hipster's Club".